descriptionThis wedge can be used to elevate either the upper body or the legs, and can be used in either a sitting or prone position. Wedges measure 24" wide x 24" deep and are available in three different heights. Covered with a cotton/poly, blue fabric. The Foam Wedge Bed Pillow provides gentle support to elevate the upper body or legs, or to use as a trunk stabilizer for side-lying position. Designed for patients with acid reflux, problem breathing, poor circulation, hiatals hernia, back or neck problems. Can also be used for foot or leg elevation. 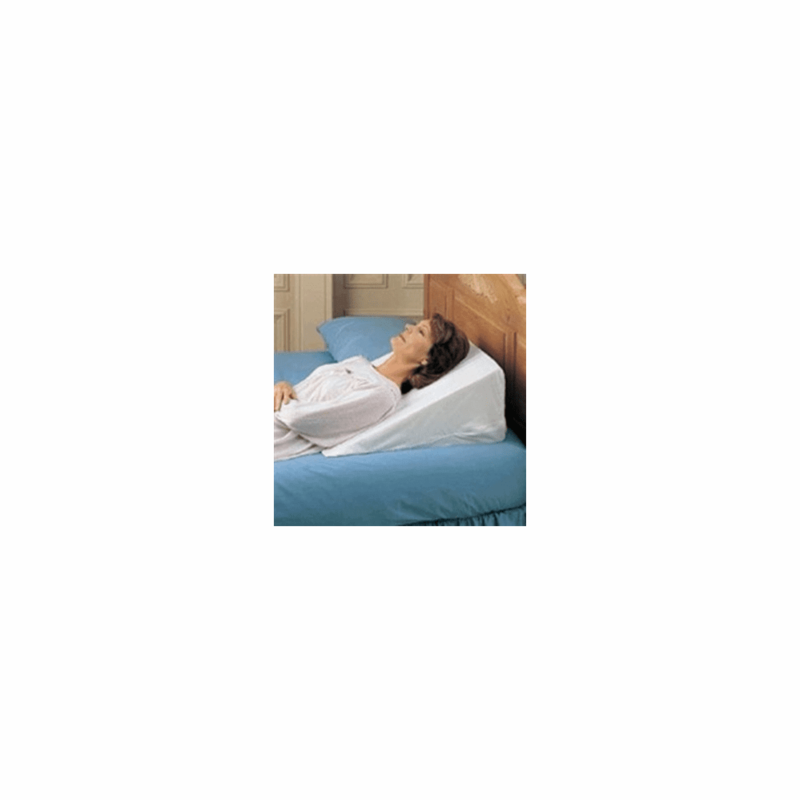 This pillow provides a comfortable, gradual slope and uses gravity to keep reflux down and airways open. For hygienic reasons pillows/wedges are non-returnable.